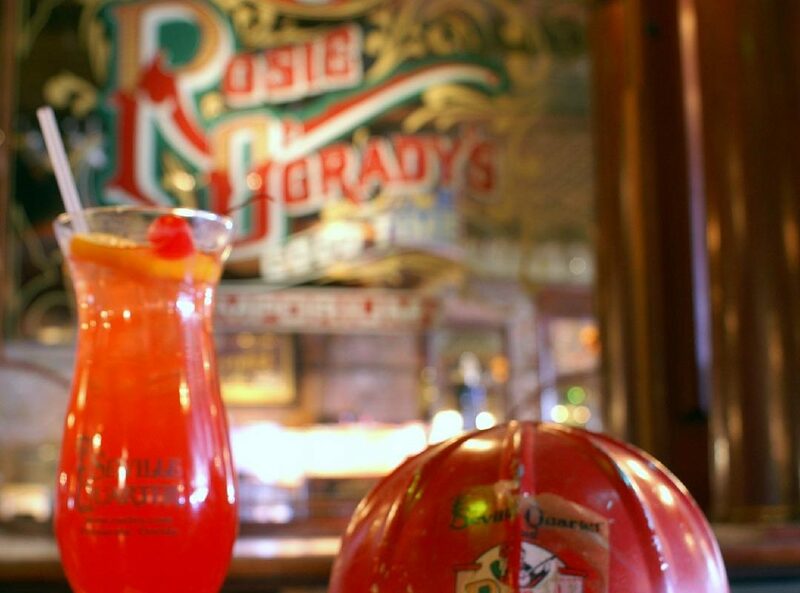 Rosie O’Grady’s Flaming Hurricane, served at Seville Quarter, 130 E. Government St. If you’re looking for the perfect cocktail to let the good times roll, look no further than the Hurricane. 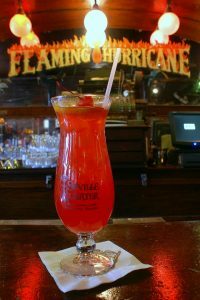 A New Orleans classic, the Hurricane has blown its way through many a Mardi Gras across the Gulf Coast, Pensacola’s being no exception. This bright, sweet drink is easy to gulp down, but like its meteorological namesake, it can pack quite a wallop. In Pensacola, the best place to get an authentic Hurricane is at Seville Quarter, 130 E. Government St. Serving up “Historic Pensacola with a bourbon chaser” for 50 years, Seville Quarter is, “As close to New Orleans as you’re going to get,” according to Buck Mitchell, whose family owns and operates the block-wide entertainment complex. 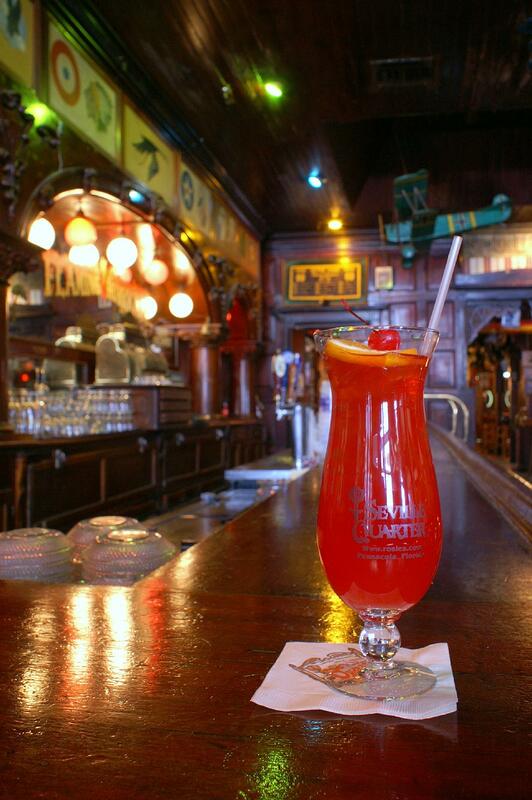 Michell said Seville Quarter’s recipe is based on that of the legendary Pat O’Brien’s Bar in New Orleans, where O’Brien is credited with creating the Hurricane. Rum is the base in a Hurricane, and there’s a lot more of it in there than inexperienced drinkers may realize. A Hurricane tastes so good, you might find yourself drinking it fast. Avoid that rookie mistake and sip it slowly. That’s easy to do at Seville Quarter, where Hurricanes are served up in souvenir glasses in the classic lamp shape, giving customers “A little piece of Pensacola to take home,” Mitchell said. And if you do find yourself thirsty for another, refills of the souvenir glass come at a discount. Seville Quarter is at 130 E. Government St., Pensacola, FL 32502. Open 7 a.m. to 2 a.m. Monday through Saturday, and 10:30 a.m. to 2 a.m. Sunday. For more information, call 850-434-6211, or visit www.sevillequarter.com.